For more information on ordering, please visit our Ordering page. Dark, warbly and tape-like. Dense modulating echo's bouncing from ear to ear. Thick, woolly tube-like distortion. Definitely NOT a sterile clean delay, but warm and full of character. When the poet Homer talked of Cimmeria, he called it the land of fog and darkness at the edge of Hades. 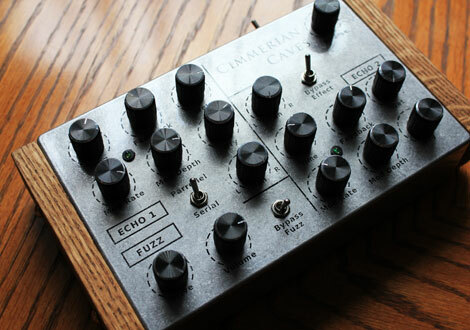 Artificial Noise has taken those words as inspiration for the Cimmerian Cave effects unit. In the unit are two Echo “Blocks” that can be either Echo/Delay (approx. 925ms max delay time), Vibrato, Chorus or some combination of the above. Each block can run in parallel and panned Left to Right, making for great Stereophonic effects, or they can be run in series (Echo 1 into Echo 2). 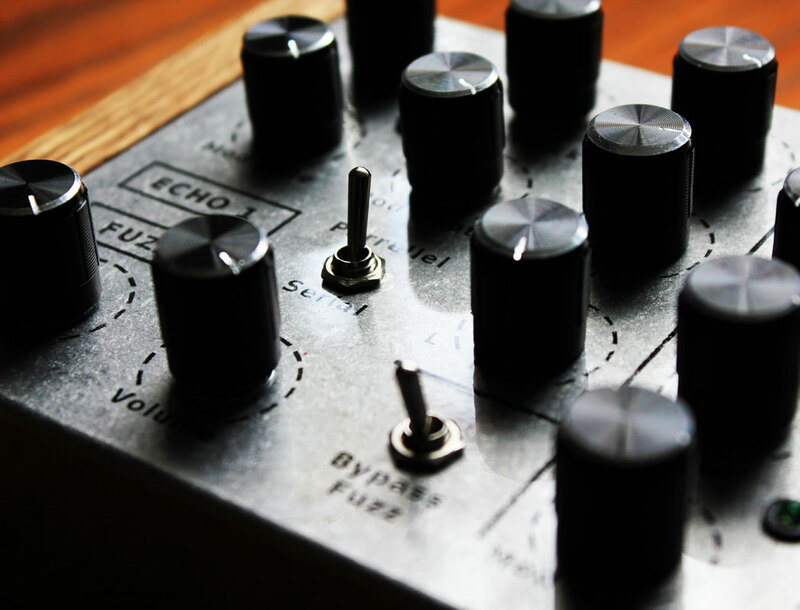 Along with the two effects blocks there is also a Fuzz effect, which runs through both blocks. 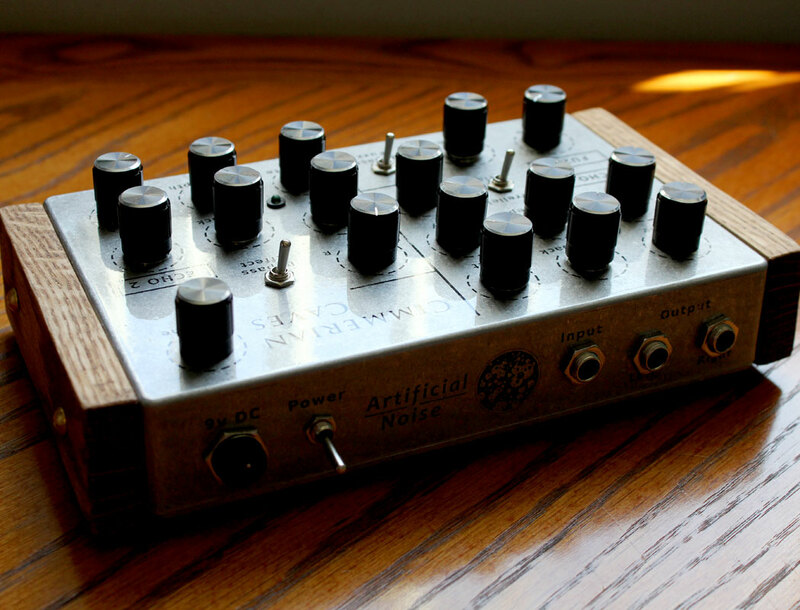 Highly tweakable with 17 knobs and 3 switches. 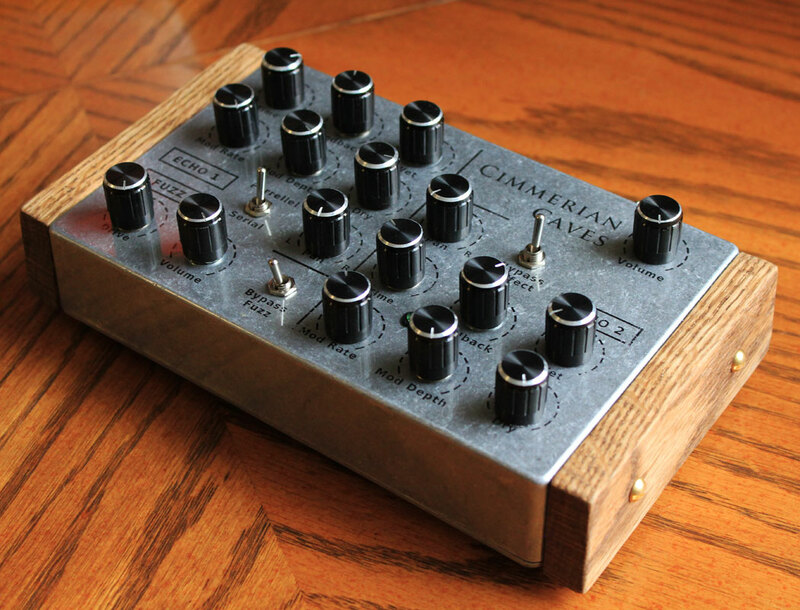 Cimmerian Caves is a hybrid of analog and digital circuitry, utilizing both worlds for maximum effect. 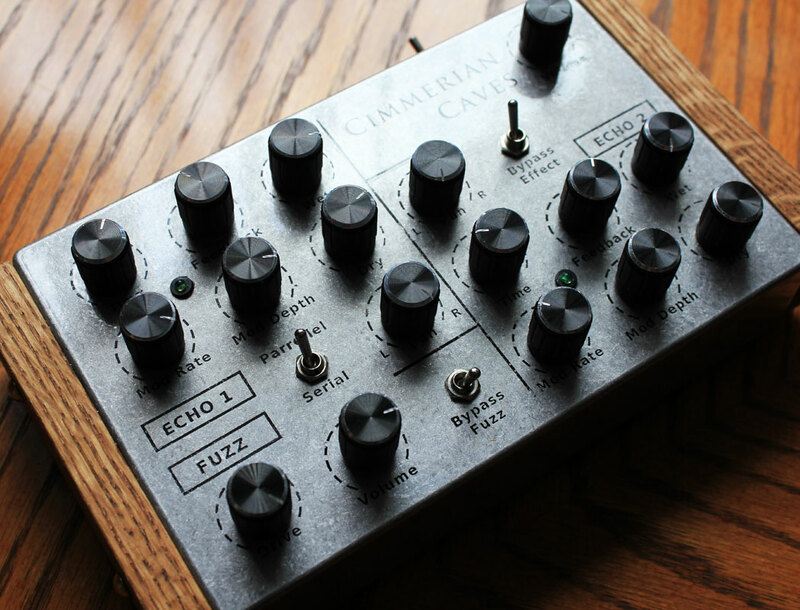 Cimmerian Caves works great with synthesizers or any line level instrument. And yes, it DOES work great with guitar and bass as well. (c) 2017 Artificial Noise. All Rights Reserved.